You may be wondering what Loki has to do with childhood cancer. Well, let me tell you Ava’s story. In August 2015, our 17-month-old baby girl, Ava, was diagnosed with a Medulloblastoma, a stage 4 malignant brain tumor. How could a 17-month-old have cancer? It didn’t seem right. Immediately, Matt and I went to work making Ava’s cancer experience and hospital stay as fun as we could. That’s all we could do. When your biggest nightmare hits, you have a choice. You can run and hide, or you can face it with all the joy and light you can muster. 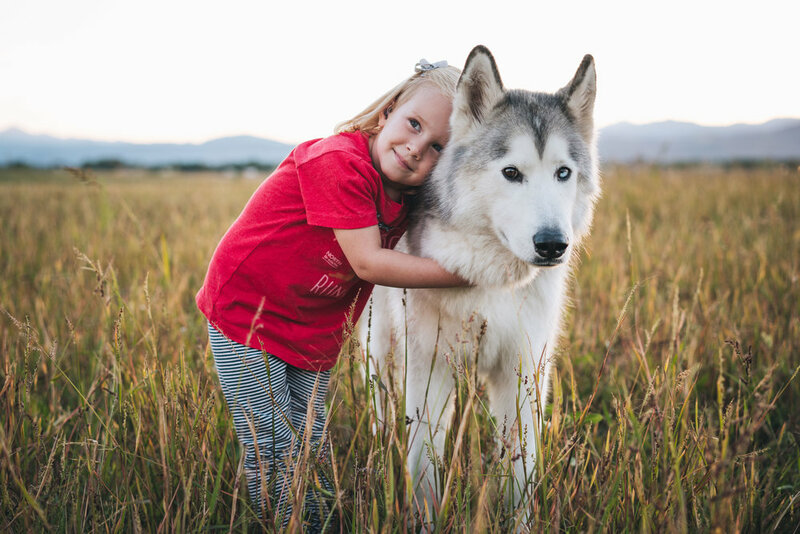 One thing Ava missed immensely from her first night in the hospital was her dog Moose, a giant Alaskan malamute. She asked about him constantly. That’s when Ava and Loki’s paths crossed. We found Loki’s instagram just a few days into our hospital stay, and it felt like a huge blessing. Kelly had just posted one of his first videos of Loki running in the snow and Ava thought it was Moose. It made her so happy! She thought we took the photos and videos to show her, because she couldn’t see her pup herself. Ava spent a total of 155 overnight days in the hospital, and most of those days were spent in isolation. Her body and immune system were so weak that she wasn’t allowed out of her room. Imagine your not-quite 2-year-old being stuck in a hospital room for months on end. 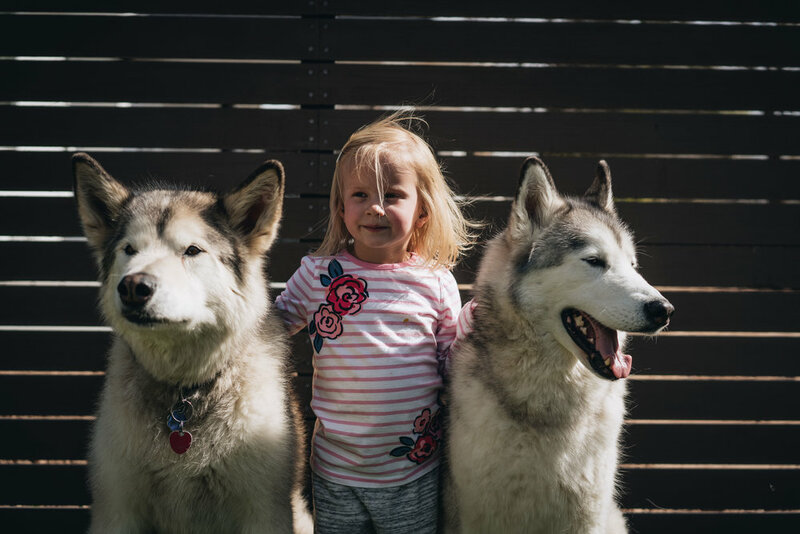 Even though she was an extremely sick little kid, instead of feeling sorry for herself, when Ava felt better, she just wanted to play and have fun. Ava had a port in her head where the doctors would inject chemo directly into her brain. All the other kids would scream and cry when this was done, but Ava never did, because she had Loki. Ava had over 15 surgeries. While the doctors put her to sleep on the operating table, she never cried, because she had Loki. 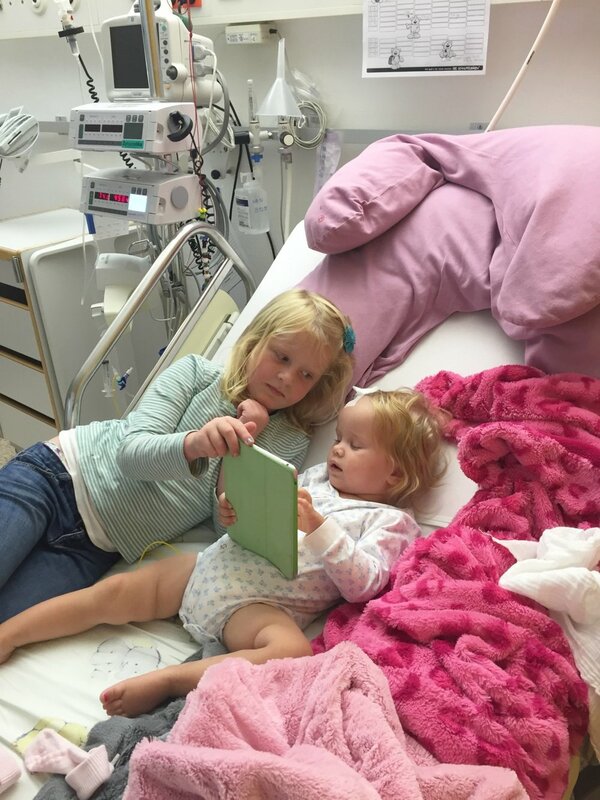 When she had to have her port accessed, finger pricks, injections, and countless other medical procedures done, she always had Loki, and Ava never cried. We would show her Loki videos, photos or just talk about Loki and it always calmed her down. This is why we chose to make a Loki pin. Because a guy and his dog halfway around the world made the literal worst thing in our lives a little sweeter and not quite as hard. Today, Ava is doing well but we have learned that cancer never really goes away. Ava will be living with the long term effects of her cancer for the rest of her life. Ava is a miracle. Ava shouldn’t be alive but she is and we are so grateful for each day we have with her. Our family will be indebted to Kelly and Loki for the joy they brought and still bring to our baby girl. Each time we go to the hospital we come armed with Loki photos and videos to calm Ava down. We are launching our Loki pins in honor of all the cancer kids who can’t see their pups, and who can’t do what they love because of this horrible disease. All proceeds will go to a cancer kid who needs a service dog.